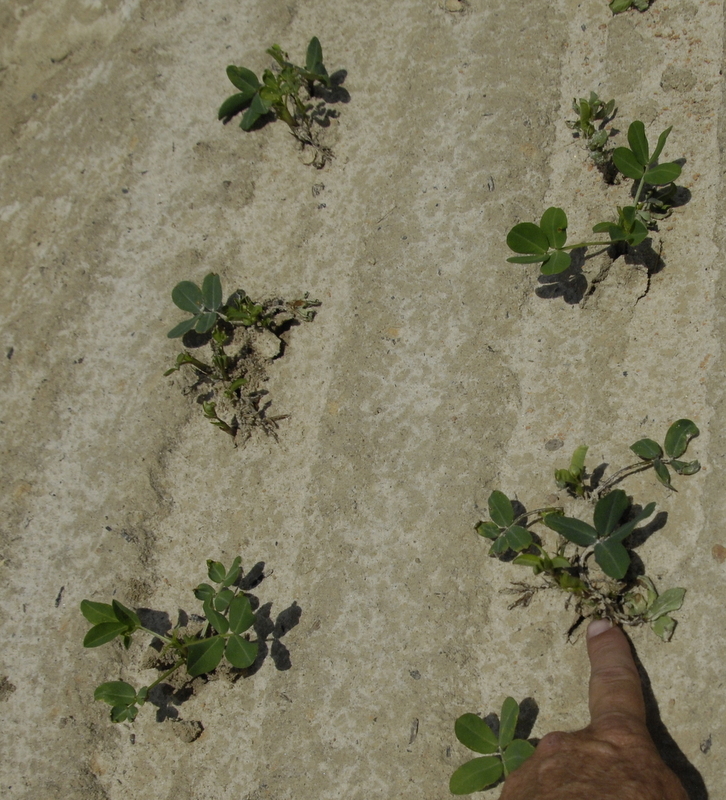 With the showers we’ve had the last week and peanuts emerging, we have seen some Valor herbicide burn. This often happens when we get splashing rains as peanuts emerge. Especially apparent if they have not received much rain or irrigation previously to get the chemical in the dirt. It looks bad but peanuts are tough and will quickly grow out of this injury. Sometimes it’s worse around field edges where maybe a higher rate of chemical was applied or the end gun didn’t put out as much water to move it into the soil. 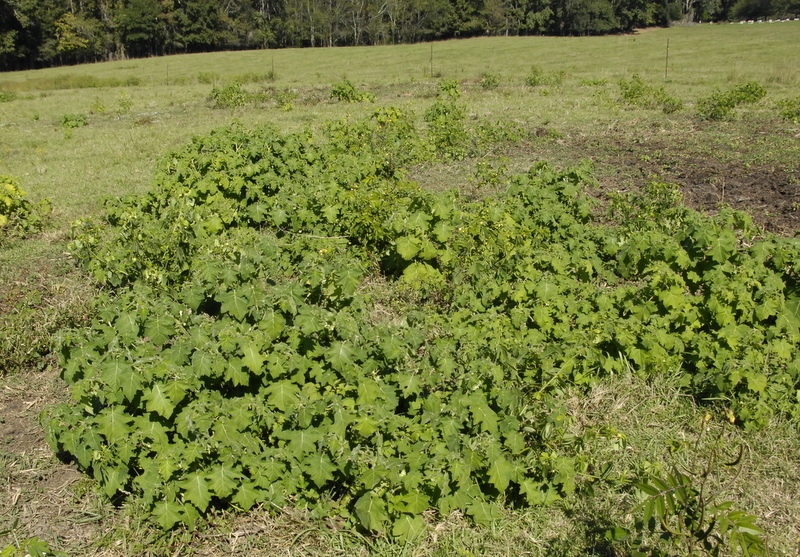 Boy, it’s a terrible pasture weed, Tropical Soda Apple (TSA). It’s on the Federal Noxious weed list. It’s been bad in Florida for a while, and we’re trying to keep it at low levels in Georgia. It was first reported in the US in Glades county Florida in 1988. It kind of takes over when it comes in. We usually see it in places where livestock or hay is unloaded or brought in from an area that has it. We found some here years ago near the stockyard but all that has been eradicated. I had some brought to me from a pasture where the cattleman had brought in some bulls from Florida a couple of years ago, so he suspects the TSA came in with them, perhaps. 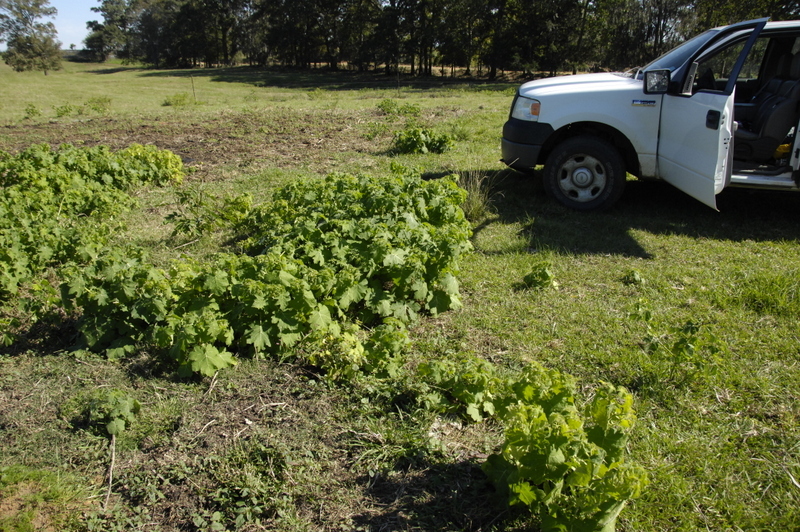 I went to the pasture to confirm the identification, and there were several plants near where hay is fed so it may have been brought in that way as well. 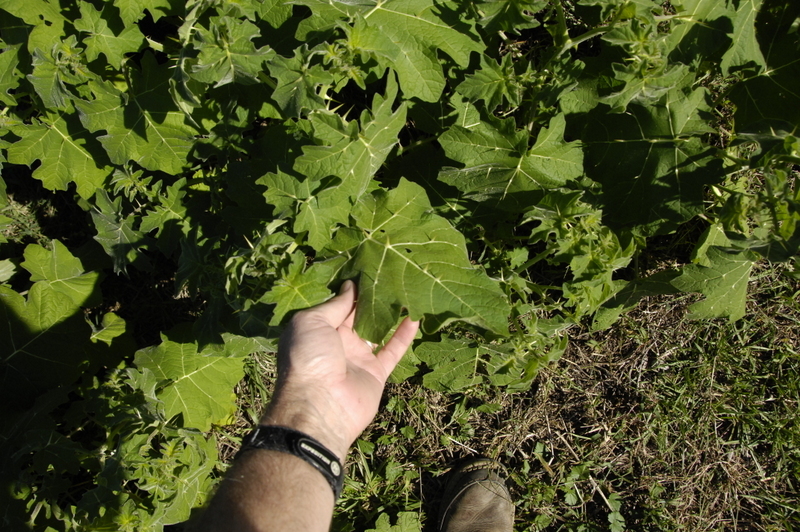 This weed looks a lot like horsenettle but it has white blooms and very big fruit, over an inch across. 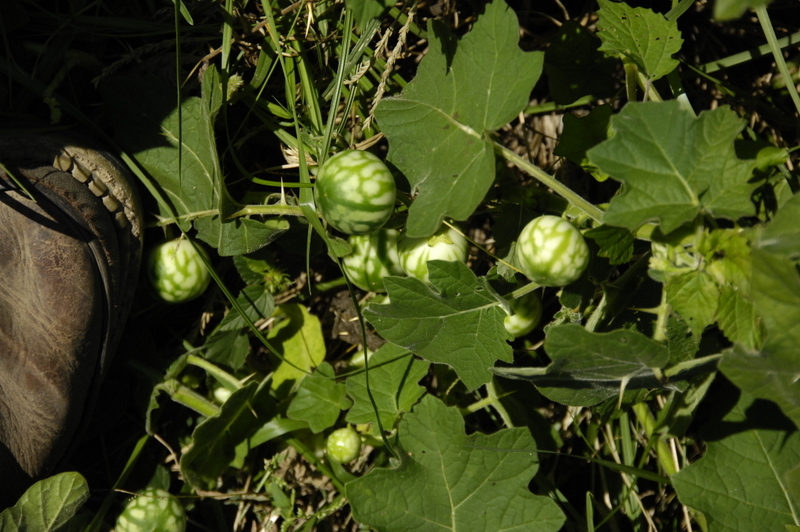 The fruit are mottled white and green, turning yellowish when mature. 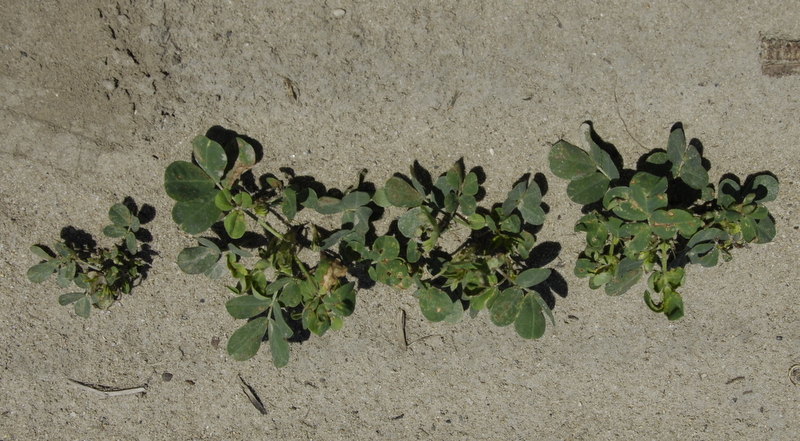 The leaves and plants are large, often growing over 3 feet high. 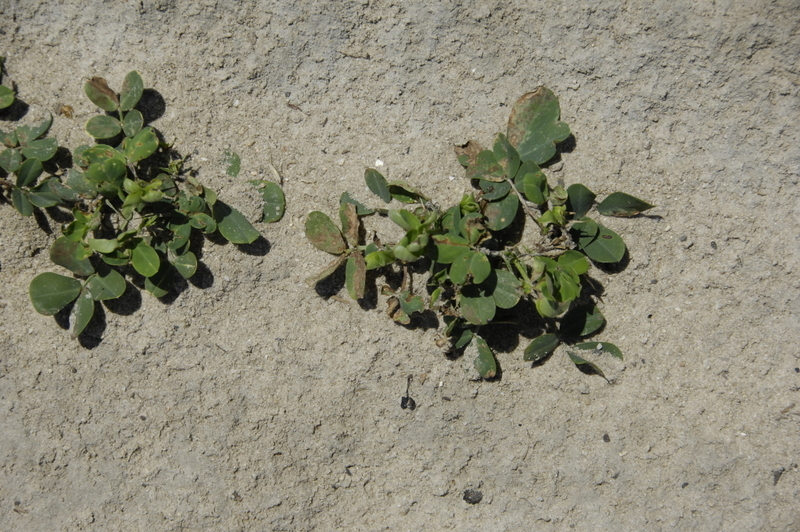 We need to be on the lookout for this weed and control it to reduce the spread. The Center for Aquatic and Invasive Plants in Florida has some good info about this pest. Here are several photos I took here in Seminole county this week. 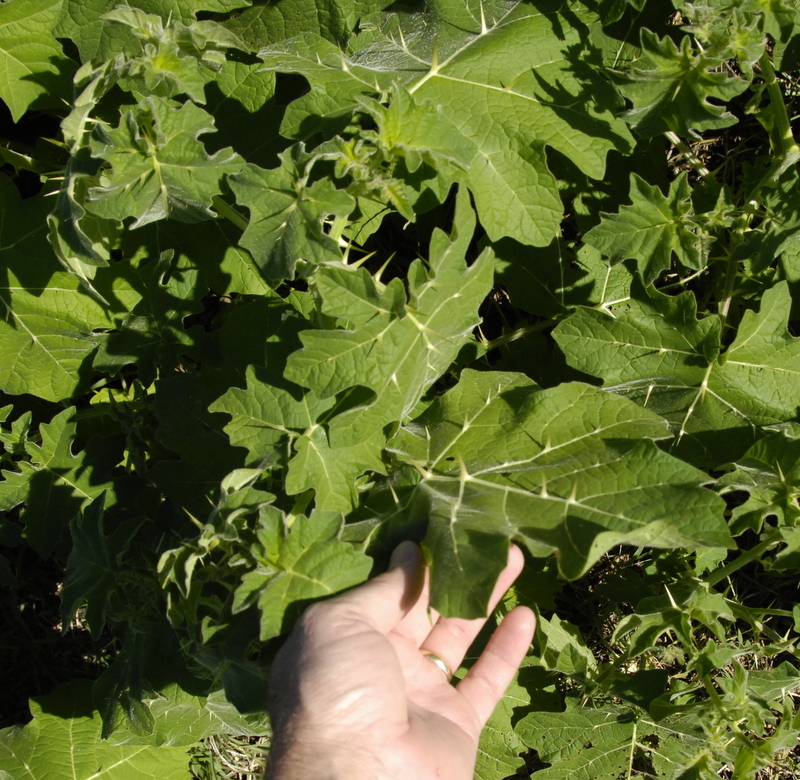 Solanum viarum (TSA) is a perennial, shrubby forb that is on the Federal Noxious Weed list. Plants grow to 6 ft. (1.8 m) in height and width. Leaves are broad, 6-8 in. long, 2-6 in. wide, hairy and resemble fig or oak leaves. The entire plant is loaded with 0.75 in. , straight prickles. Flowering occurs year-round, with most reproduction occurring from September to May. 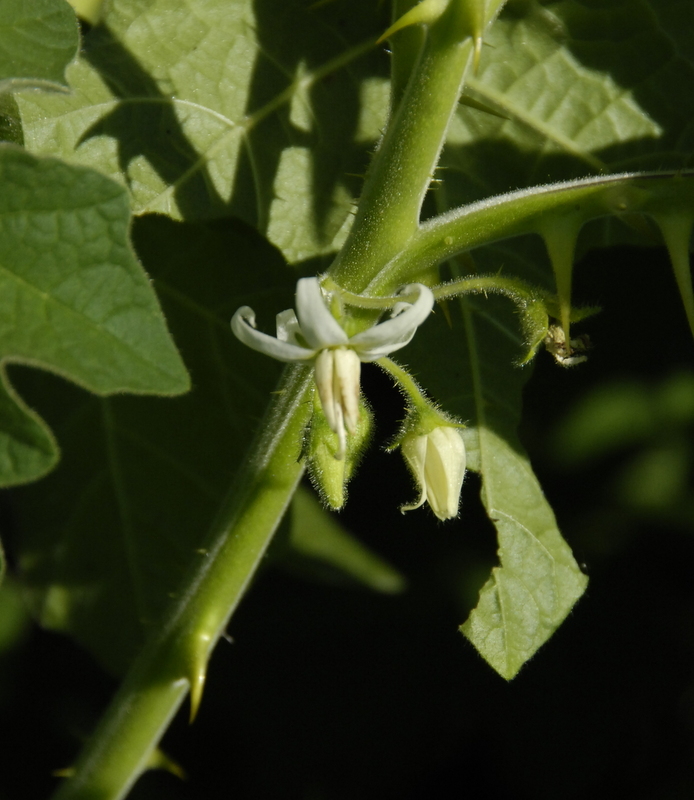 White, 5-petaled flowers grow, in clusters, under the leaves. Fruit are 1 in. in diameter and resemble a watermelon. TSA invades pastures, fields, and parks, but also has the potential to invade open forest and other natural areas. 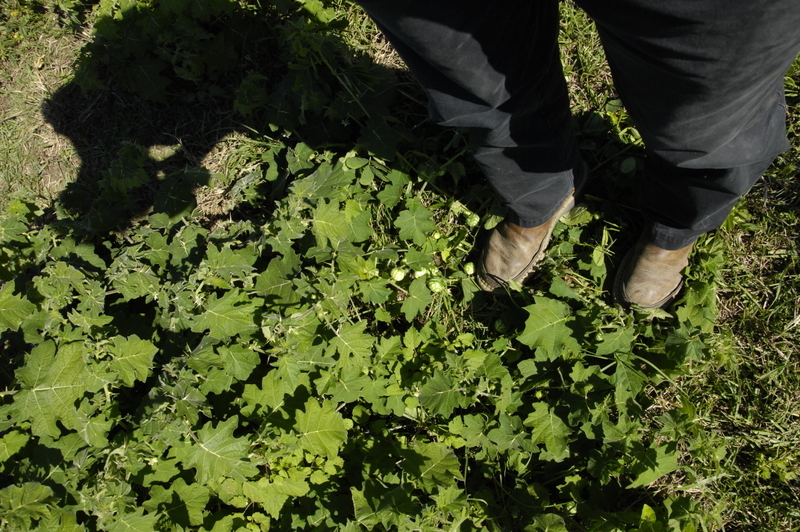 This plant forms thick stands that can be impenetrable to livestock, large wildlife, and humans. 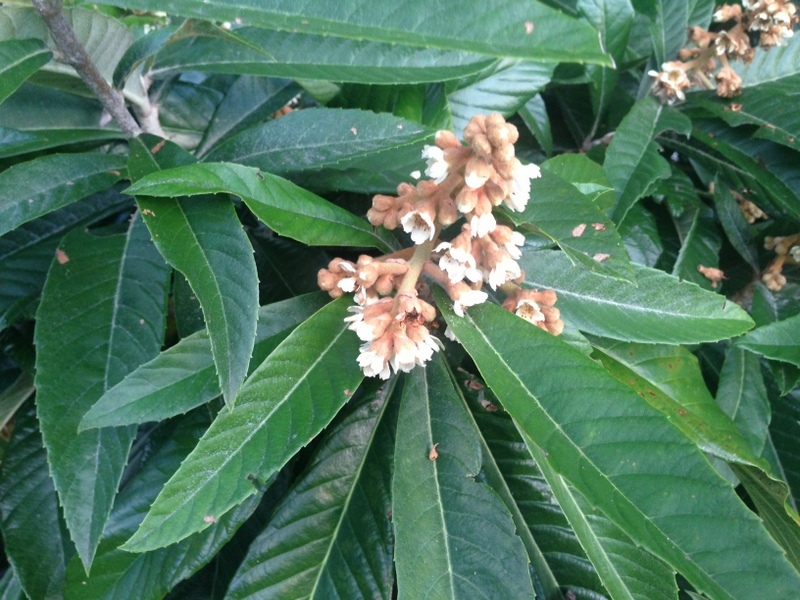 What is this tree and why is it blooming now? Doesn’t it know winter is approaching? I took this photo last week here in Seminole county.